This summer, Eurostar is encouraging families to make the most of the summer holiday by booking a European escape, with child fares from just £1 each way. The same low fare is available in both Standard and Standard Premier classes, for travel to Paris, Brussels, Lille, Calais or any Belgium station. Tickets are on sale from 2nd to 9th July, for travel between 1st and 27th August, and applies for children aged between 4 and 11, with under 4s travelling free. As cities across Europe embrace the warm weather, there are plenty of activities for families to join in with. In Paris, there are fun and games at the summer carnival set up in Paris’ Jardin des Tuileries, or feel the sand under your feet at Bruxelles les Bains, a city-centre temporary beach on the cobbled quays of Brussels’ canal complete with imported sand, palm trees and straw huts! To get even more value out of a European adventure, Eurostar passengers can enjoy some of each city’s cultural highlights at a reduced rate, using their Eurostar ticket to get 2 for 1 entry to a range of top museums and galleries. Tickets are available on www.eurostar.com or via the Eurostar contact centre on 03432 186 186. Based on bookings made between 02 – 09 July 2015 inclusive and travel within 01 – 27 August 2015. 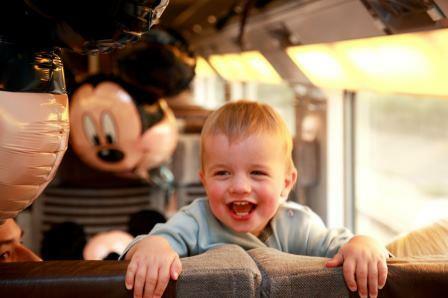 There is a maximum of 2 children per booking, and the child fare can only be booked with an adult fare. Child fare is for those aged between 4 and 11 years on day of travel. Tickets are exchangeable by paying the difference in price with the next available fare in the same or higher class of service, plus a fixed fee of £1 per child segment and £30 per adult segment. A £4 fee will apply to all credit card bookings, no charge is made for payments with a debit card.